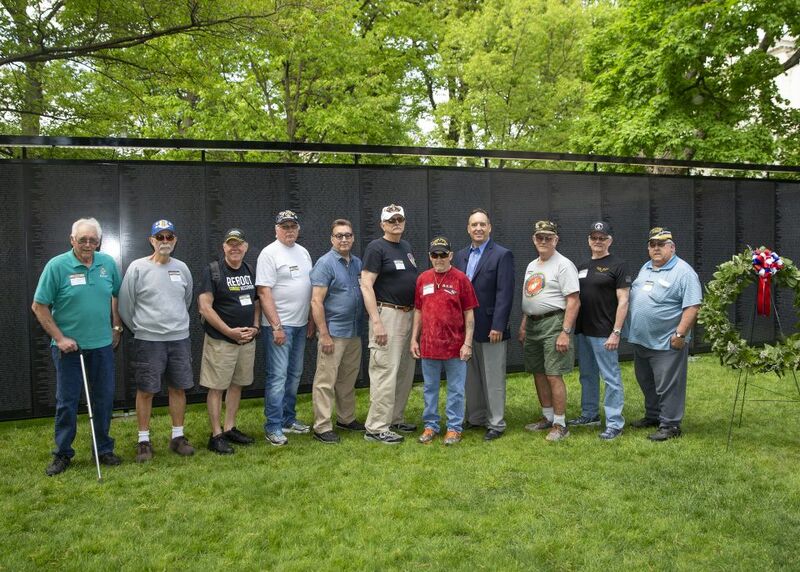 It was my honor and privilege to host local veterans on a trip to Harrisburg to visit The Wall That Heals, a 375-foot-long replica of the Vietnam Veterans Memorial located in Washington, D.C. 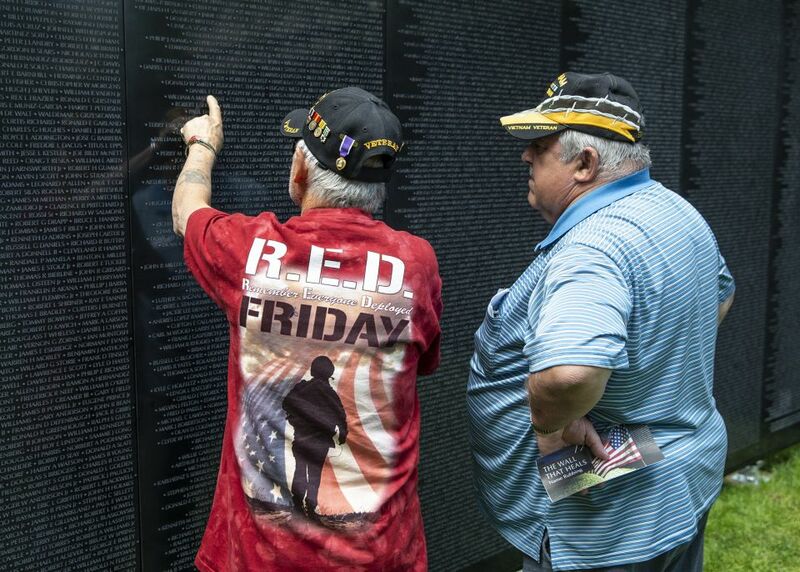 The Wall That Heals bears the names of the more than 58,000 service members who perished or went missing during the Vietnam War. The traveling memorial was recently in Harrisburg for a four-day display at the state Capitol Complex. I joined our local veterans who were greeted at the wall by the site director and participated in a special pinning ceremony. The Veterans also took part in a special tour of the Capitol building before heading back home. It was a day of tears, smiles and laughter. We cannot say thank you enough to our Veterans for their service. I have a great deal of respect for our men and women who have served in our military. They all should have the honor and appreciation of a very grateful nation. I want to say a special thank you to Fullington Trailways for providing the bus that enabled our veterans to travel to Harrisburg and experience The Wall That Heals. Two Penns Valley School District elementary schools have received state grants to make school breakfasts and other meal options available to more students. Centre Hall Potter Elementary School received $3,105 and Miles Township Elementary School received $2,317. The grants are provided through the School Breakfast Initiative, which I supported as part of the 2017-18 state budget. The maximum grant was $5,000. The schools will use the grant to increase and sustain breakfast participation by 20 percent by implementing or expanding alternative breakfast options, such as grab-n-go breakfast, breakfast in the classroom, and second chance breakfast during study halls. Currently, more than 3,000 Pennsylvania schools report that they offer breakfast. However, fewer than half of those schools offer alternative serving methods. Only 50 percent of students who receive free or reduced lunch also receive breakfast. These grants will provide much needed nutritional breakfast options to more students. 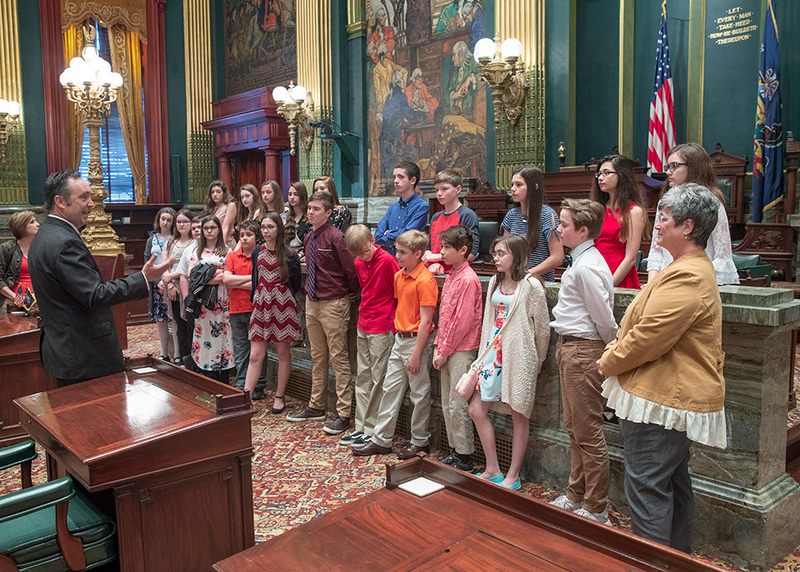 I was joined in Harrisburg by the Bellefonte Area Middle School student council where they took on the role of Senator for the day and learneed how legislation is developed and passed. The Borough of State College and Mifflin County have received state grants to undertake pedestrian safety improvement projects. The Borough of State College will use its $935,000 state grant to make sidewalk improvements and install pedestrian fencing, street lights, street furniture and landscape features for traffic calming. Mifflin County will use its $834,610 state grant for a streetscape project that includes new sidewalks, curbing, trees and pedestrian lighting to improve pedestrian access. These are important projects that will improve public safety and make our roads safer for walkers and motorists. I am pleased that we were able to secure this much-needed funding to complete the project. The grant was awarded through the Surface Transportation Block Grant program Set-Aside or Transportation Alternatives Set-Aside. The TA Set-Aside provides funding for projects and activities defined as transportation alternatives, including on- and off-road pedestrian and bicycle facilities, infrastructure projects for improving non-driver access to public transportation and enhanced mobility, community improvement activities, and environmental mitigation, trails that serve a transportation purpose, and safe routes to school projects. 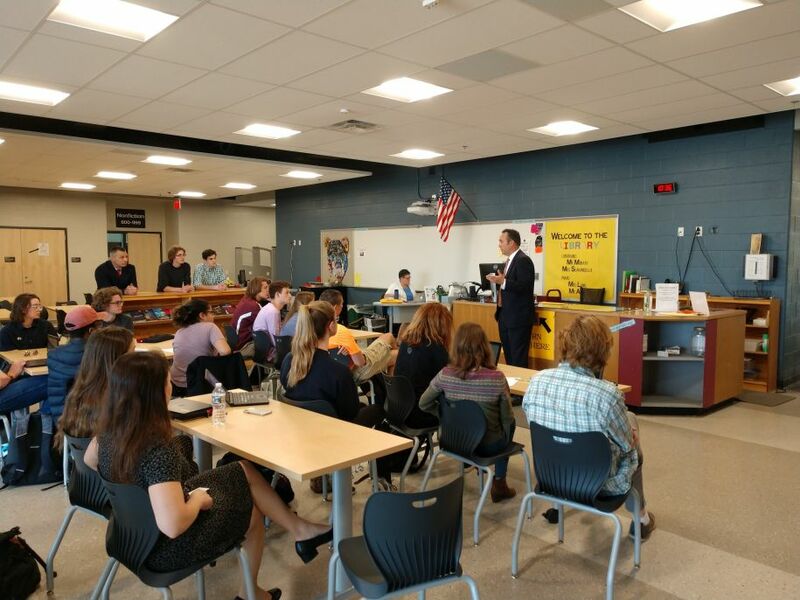 I recently met with student leaders at the State College Area High School for a tour of the new high school complex and a discussion on government and civics. 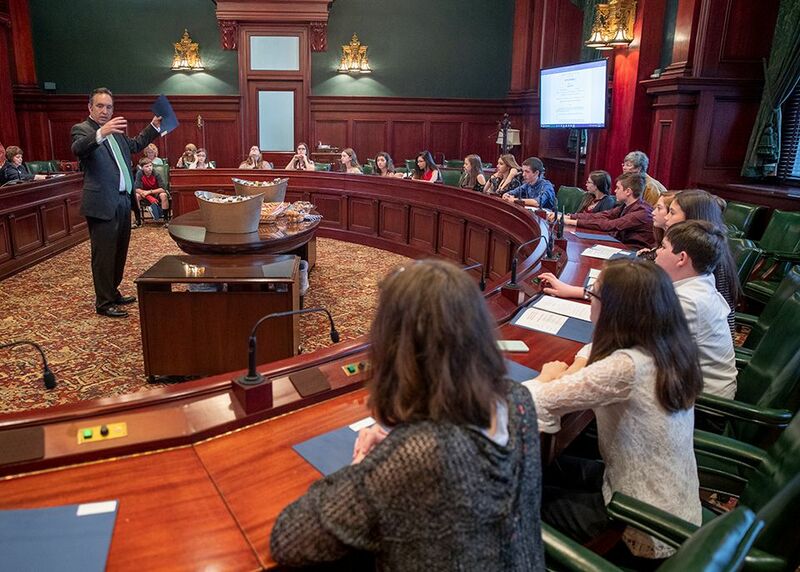 I continue to be impressed at the dedication, knowledge, and level of interest in civic engagement exhibited by our next generation of leaders. 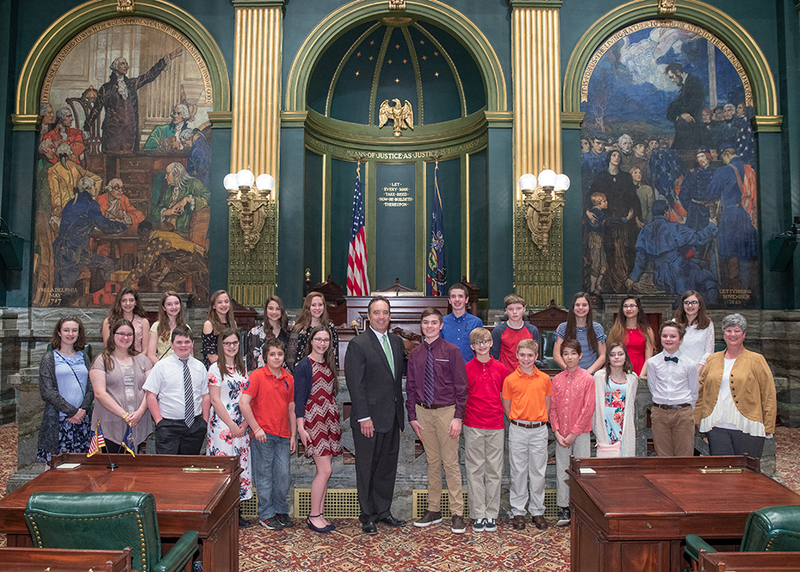 They had great questions ranging from the many issues facing the Commonwealth today to the topic of civil discourse. 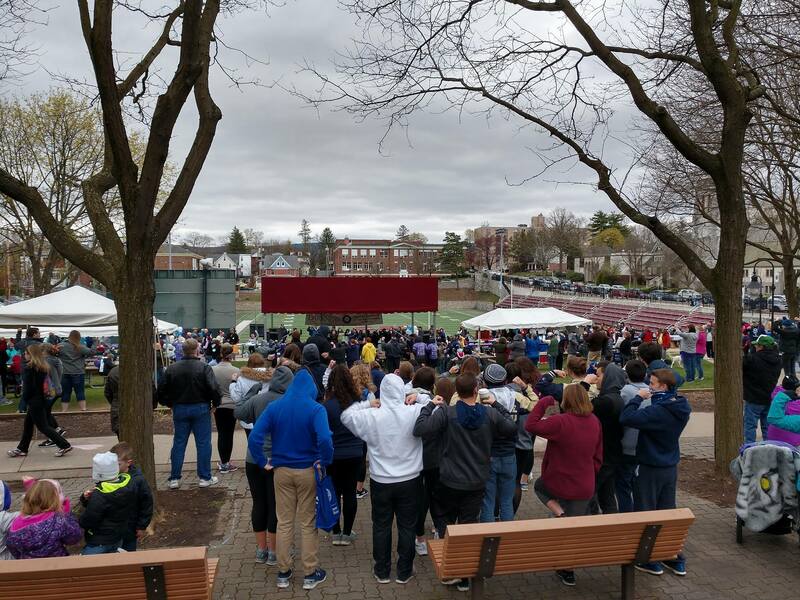 The Borough of State College is eligible to receive three grants totaling $624,281 through the state Department of Community and Economic Development’s HOME program. The money will enable the borough to provide more reasonably-priced housing options to our neighbors in need. A steep demand for housing in State College has pushed housing prices higher and higher. Affordable housing is vital to helping our families succeed and making our community a better place to live. The federally funded program provides municipalities with grant and loan assistance as well as technical assistance to expand the supply of decent and affordable housing for low- and very low-income Pennsylvanians. To receive the money, the borough must complete an environmental review process. Grants are used for new construction, rehabilitation, financing mechanisms, acquisition of rental or sales housing and rental assistance for low- and moderate-income families. A 25 percent local match on project costs from non-federal resources for rental housing is required. Phillipsburg, Rush Township and Bellefonte were submitted to the U.S. Treasury for inclusion in the Qualified Opportunity Zone program. I am encouraged to see the Governor Wolf submit these municipalities for consideration in the Qualified Opportunity Zone program. The key word is ‘opportunity,’ and every community in Pennsylvania deserves an opportunity to attract economic development and good-paying jobs. The federal Qualified Opportunity Zone program provides a tax incentive for individuals to reinvest unrealized capital gains into funds that will promote low-income communities to help address local challenges. Funding of the development of workforce and affordable housing in areas with escalating prices and inventory shortages. Funding of new infrastructure to support population and economic growth. Investment in startup businesses that have the potential for rapid increases in scale and the ability to “export” outside of Pennsylvania. 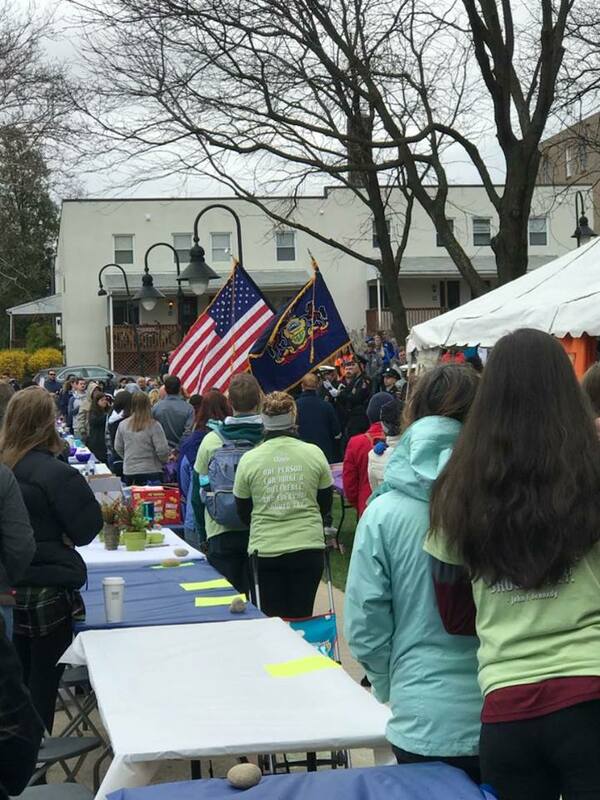 The American Foundation for Suicide Prevention – Central PA Chapter sponsored the Out of the Darkness Walk to raise awareness surrounding suicide. The day’s events illustrated the impact suicide has on so many families locally. 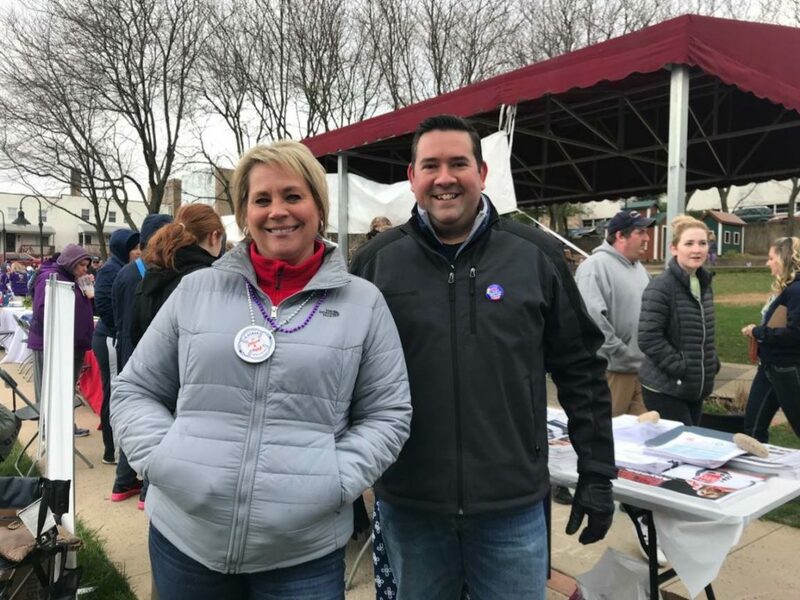 Also, as part of the resource and provider area, my staff volunteered their time representing the Centre County HOPE Initiative. The Centre Region Active Adult Center in State College has been awarded $65,000 in state funding to make improvements to its facility and provide more services to area residents. The grant comes from the Pennsylvania Lottery and distributed by the state Department of Aging. Senior centers serve as a great resource for older Pennsylvanians, providing a wide variety of services and programs, educational opportunities and transportation as well as a place to socialize. They truly are a lifeline for our seniors and their families making the state funding all the more important to our community. Grants are used to advance senior community center projects, including modernizing facilities, encouraging technology improvements, enhancing innovative programming, attracting new members, building on successful practices and, overall assistance in meeting the needs of their participants. More than 37,000 pounds of drugs were returned in Pennsylvania during National Prescription Drug Take Back Day, which aims to provide a safe, convenient, and responsible means of disposing prescription drugs. 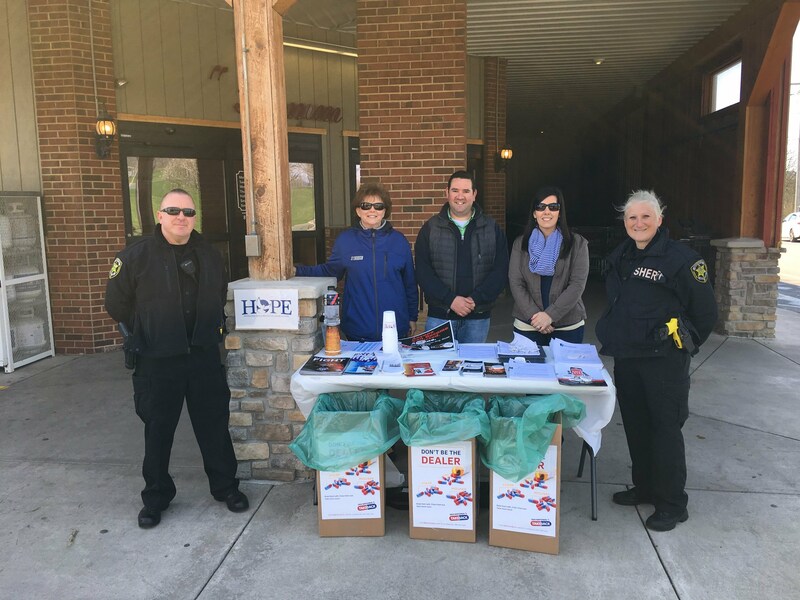 My staff joined local law enforcement, the HOPE Initiative and staff from Rep. Kerry Benninghoff’s office at Burkholders Market in Penns Valley to educate the general public about the potential for abuse of medications.